Gen Yamamoto told us to go to Benfiddich. Benfiddich told us to go to Codename:Mixology. Codename:Mixology told us to go to Bar Trench, and after a chain of suggestions like that, we simply could not say no. Bar Trench turned out to be in Ebisu, only a few minutes from where we were staying, so it was an easy choice. Trench is owned by the same people as a bar two blocks away called Tram, and both describe themselves as “Elixir and Absinthe”. 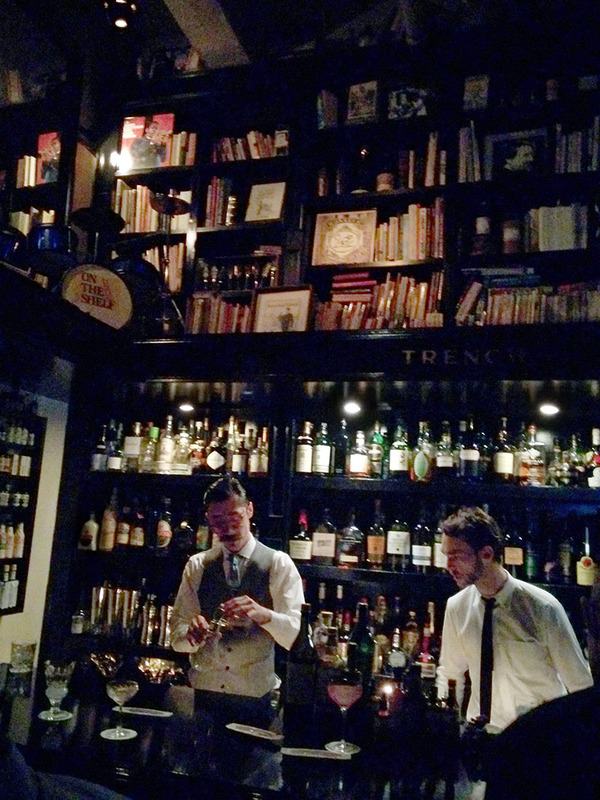 Of all the bars we visited in Tokyo, Trench was the most similar to an American style craft cocktail bar. In fact, if you found Trench in Seattle, you wouldn’t think twice. We did not have a lot of time, and honestly, because it was so familiar, the menu had less to offer than a place like Codename:Mixology, but I want to commend them for creating a great atmosphere and for serving us a rock-solid drink, which they called “Gin and Jam”. Every week, they make a new gourmet jam, and then premix it in jam jars with a spirit as a sour. 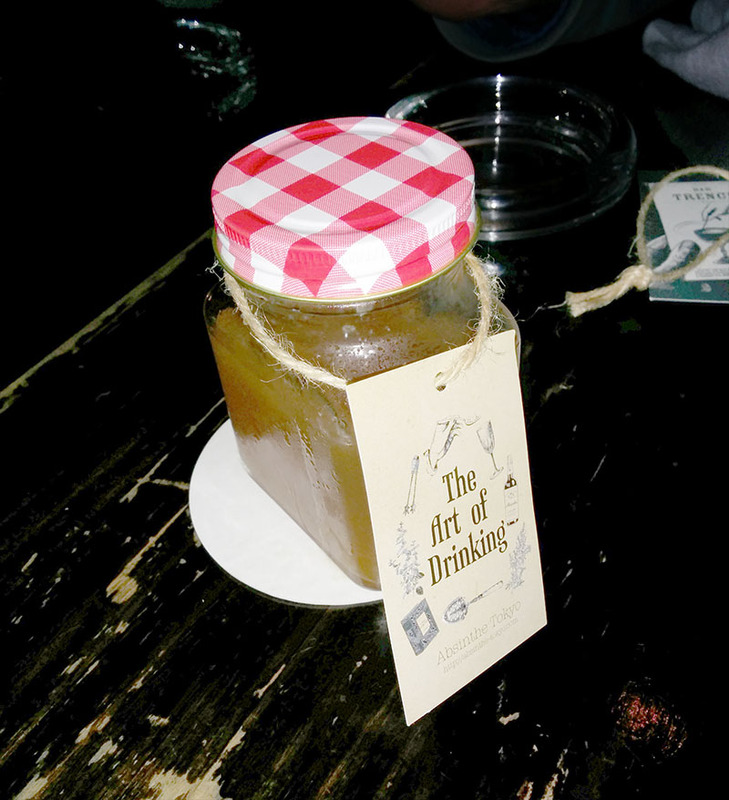 We were lucky enough to get Gin with homemade Apple-cinnamon jam, and everyone at the table drank it in record time. That’s how you know you did something right. This was a two-man operation when we were there, and right as we were about to leave, the lead bartender came over to our table and hung out with us for a minute, even though the bar was fairly crowded, and he poured us all a shot of Zacapa 23 and took a shot with us. Little things like that can help take a bar from good to great. Alas, we were a little short on time at this point, and we only had time for one drink. Still, it was a good time, and if you are in Ebisu, and looking for an American-style craft bar, Trench is the place. Categories: excursions | Tags: alcohol, bar, bars, bartending, booze, cocktail, cocktails, craft cocktails, drinking, drinks, ebisu, liquor, mixed drinks, mixology, spirits, tokyo, tourism, travel | Permalink.